Hey! Say! JUMP welcomes the new era with consecutive releases for the month of May! On May 22, the group will release the double A-side single “Lucky-Unlucky / Oh! My Darling”. “Lucky-Unlucky” is a city pop number which will serve as theme song to member Chinen Yuri’s NTV spring drama “Atama ni Kitemo Aho to wa Tatakauna!” (Don’t Fight With Fools Even When You Get Pissed Off). “Oh! My Darling” is Yamada Ryosuke’s solo song and will be used as image song for his Kose Lachesca CM. 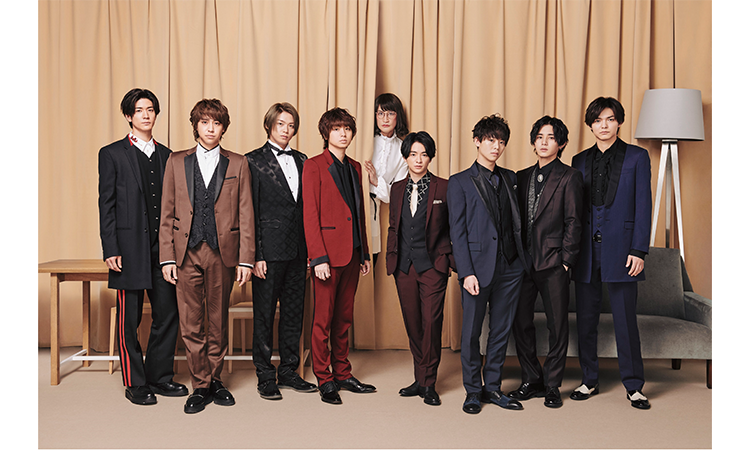 Ony May 29, the group will release their first DVD single “Ai dake ga subete -What do you want?-“, a number infused with a Latin flavor which will be used for the TV Asahi drama “Kaisefu no Mitazono Season 3” starring member Inoo Kei. Mitazono (TOKIO Matsuoka Masahiro) appears in the jacket cover for the DVD single (Mitazono edition) and collaborated with the group for the music video.